Last summer, I wrote a seven part blog series on the “Baptism in the Holy Spirit,” with links that you can follow here (the Intro, then #1, #2, #3, #4, #5, #6, and #7). To recap a year later, I thought I would recommend a book, where you can explore this issue in more depth. 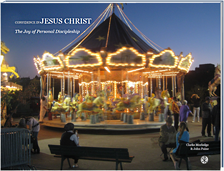 The “Baptism of the Holy Spirit” is a controversial topic among evangelical Christians. 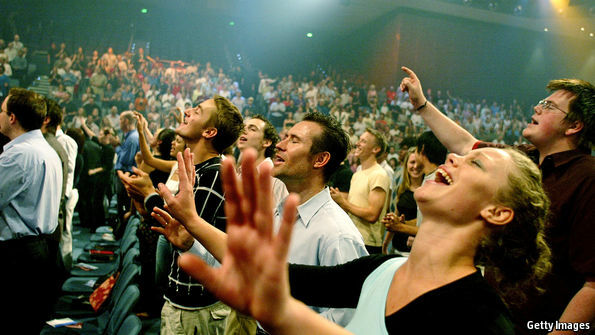 Most people associate “Spirit baptism” with the charismatic renewal movement, and the “miraculous” gifts of the Spirit, such as “speaking in tongues,” and a very emotionally expressive style of worship, with lots of raised hands and swaying to the rhythm of praise and worship music in church. There are basically two camps on this issue, the continuationalists and the cessationists. Let me briefly break this down for those unfamiliar with the terminology. Theologically speaking, those who believe that such miraculous gifts of the Spirit continue be operational in the church today are continuationalists. From the Bible, continuationalists believe that the “signs and wonders” displayed throughout the Book of Acts did not stop in the first century of the early church (see Acts 2:22; 2:43; 4:30; 5:12; 6:8; 8:13; 14:3). In other words, if folks like Peter and Paul witnessed remarkable miracles performed by the Holy Spirit, why would we not expect at least some of the same thing happening today? On the other hand, those who believe that such gifts “ceased” to operate after the era of the original apostles ended are cessationists. The “go-to” verse for cessationists is 1 Corinthians 13:8, which they argue teaches that the “gifts of the Spirit,” like speaking in tongues, would eventually “cease,” according to the Apostle Paul, once the last of the first apostles died, and the New Testament writings were completed. Continuationalists come in all shapes and sizes, some more low-key than others. Some downplay the miraculous gifts of the Spirit, even finding a way to fit in with more traditionally cessationist churches. On the other side, among the cessationists, are vocal opponents of the charismatic movement, who wish that anything even hinting of “speaking in tongues” would just completely go away! One of leading proponents of cessationism, is Southern California Bible teacher, John MacArthur, who contends that the charismatic movement today is similar to the false worship practice of Nadab and Abihu in Leviticus 10:1, who used “strange fire” in the worship of the God of Israel. But “Spirit baptism” is a more fundamental issue than whether or not “speaking in tongues” is valid for today. 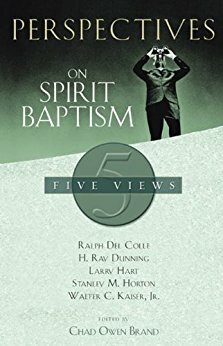 “Spirit baptism” deals with the role of the Holy Spirit in giving spiritual life to the believer. Do we get “all of the Holy Spirit” when we first begin a relationship with Jesus, or should Christians look forward to a subsequent experience where we encounter the powerful presence of the Holy Spirit, in our Christian walk? Fourth in a multipart blog series…. So, how did we get from the sacrament of confirmation or chrismation, from the early church, to contemporary Pentecostalism? The key to this is understanding the idea of a “second blessing” experience, in the life of a believer. The “second blessing” has a history stemming back to the founder of Methodism, John Wesley. 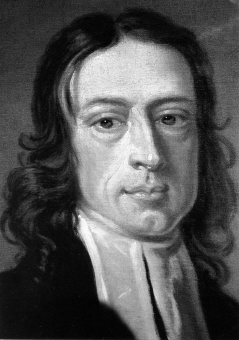 Wesley had been an Anglican missionary in the early 18th century, in the English colony of Georgia. But in these early years, he considered himself to be mostly a failure, even from the very start. On the ocean voyage across the Atlantic from England, Wesley’s ship was in a severe storm. But there was a group of Moravian missionaries on board that same ship, who calmly sang hymns and songs to God, praying for their safety, as their boat began to groan and crack under the beating of the pounding waves and swelling sea. Wesley, on the other hand, was a nervous wreck. This missionary was completely scared to death. He and the Moravians survived the storm, but Wesley knew that they had some kind of peace and spiritual courage that he lacked. It was not until Wesley returned a few years later to England, where at a Bible study lecture, he felt his heart “strangely warmed.” He was never the same after that moment, experiencing great power in delivering hundreds and hundreds of sermons that fueled the fires of the Great Awakening in England. John Wesley, the 18th century evangelical leader, whose heart was “strangely warmed,” years after he had committed himself to follow Christ. The Holiness movement in 19th century followed the theological lead set by John Wesley, and they began to speak of an experience with the Holy Spirit after conversion as a “second blessing.” It is therefore no surprise that William J. Seymour, and other leaders of the 20th century Pentecostal revival, built their theology of “the baptism in the Holy Spirit” on the foundations of the Wesleyan inspired Holiness movement. It bears repeating that these early, pre-Pentecostalism advocates of a “second blessing” were not “charismatic” in the sense of possessing the gift of “speaking in tongues,” or other miraculous gifts of the Spirit.